BULAWAYO, Zimbabwe, Sep 21 2018 (IPS) - Nyalen Kuong and her daughters fled to safety after an attack on their village in South Sudan in which Kuong’s husband and two sons where killed and the family’s cattle lost. Kuong, her daughters and other families from their village fled to islands surrounded by swamp land. There, she had little to eat. And soon began suffering from diarrhoea, brought on by acute malnutrition. Eventually she was taken to a hospital camp where she was treated and was placed on an intravenous feeding drip. This is Kuong’s story as told by the Food and Agriculture Organization of the United Nations (FAO). When she recovered she was given fishing equipment by FAO, which she now uses to supply her own food. South Sudan is Africa’s newest state, but it has been mired in civil conflict since December 2013. Some 2.8 million people, a majority of whom depend on livestock for their livelihoods, are now facing acute food and nutrition insecurity, according to FAO. Kuong’s experiences continue to be replicated in conflict zones around the world. Conflicts cost livelihoods and drive hunger and malnutrition, some of the most pressing development challenges today. In May 2018, the Security Council adopted Resolution 2417 (2018), explicitly acknowledging the link between conflict and hunger and calling on all partners to protect civilians as well as their means to produce and access food. Hunger has been on the rise for three years in a row, the U.N. found in a new report published this September. The global body says 821 million people are now hungry and over 150 million children stunted, putting the goal of hunger eradication at risk. FAO is using its mandate to end hunger and malnutrition and to cultivate peace. This will ultimately enable food and nutritional security, which are linked to the global Sustainable Development Goals (SDGs) and the Agenda 2030. Yeves emphasised that interventions in support of food security, nutrition and agricultural livelihoods for conflict prevention and sustaining peace, are fundamentally important as they address not only the symptoms but also the root causes of conflict. As the world marks the International Day of Peace on Friday, Sept. 21, the impact of conflict on humanity is a call to build a peaceful world. Sustainable Development Goal #16 underscores promoting peaceful and inclusive societies for sustainable development, providing access to justice for all and building effective, accountable and inclusive institutions at all levels. “It is time all nations and all people live up to the words of the Universal Declaration of Human Rights, which recognises the inherent dignity and equal and inalienable rights of all members of the human race,” said U.N. Secretary-General António Guterres, in a message ahead of the International Day of Peace. This year marks the 70th anniversary of the Universal Declaration of Human Rights. For many people affected by conflict, agriculture is their only means of survival, according to FAO. The U.N. body says agriculture accounts for two-thirds of employment and one-third of GDP in countries in protracted crises. Since 2000, 48 percent of civil conflicts have been in Africa where access to rural land underpins the livelihoods of many. In 27 out of 30 interstate conflicts in Africa, land issues have played a significant role. In 2018, FAO partnered with the Intergovernmental Authority on Development to facilitate peaceful livestock movement between Kenyan and Ugandan cross-border areas. In 2017, FAO signed a USD 8.7 million agreement with Colombia’s Rural Development Agency to help boost agricultural competitiveness and restore rural areas affected by armed conflict between the Revolutionary Armed Forces of Colombia and the government of Colombia. 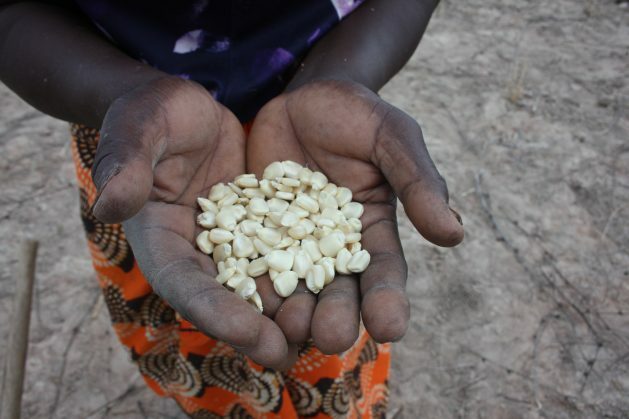 FAO believes promoting food security and livelihoods can help address some of the conflict drivers. “In conflict and post-conflict situations the humanitarian agenda takes the place of states that have failed, including welfare issues such as food, but also to some extent security functions in refugee camps. For example, thus the driving forces for it become global rather than local, with all the problems that it will entail,” David Moore, a researcher and political economist at the University of Johannesburg, told IPS. Moore noted that conflicts are complications that a simplistic “helping hand” cannot resolve — but where there are local actors influencing and acting with global agencies, like FAO, some issues can be addressed and perhaps alleviated. Recognising that food security can support peace building, the FAO-Nobel Peace Laureates Alliance for Food Security and Peace was established by the director general of FAO Jose Graziano da Silva and currently there are 10 Nobel Peace Laureates as members, said Yeves. He added that the aim of the Alliance is not only to raise awareness and champion the links between food security and peace building, but also highlight the leadership of FAO in agricultural and food security policies and actions that promote peace, rural development and food security. The Alliance members include Muhammad Yunus, Oscar Arias Sánchez, Tawakkol Karman, Betty Williams, Juan Manuel Santos, Frederik Willem de Klerk, Adolfo Perez Esquivel, Jose Ramos-Horta and Mairead Maguire. Graça Machel, humanitarian and widow of former South African president Mandela, will be named an honorary member of the Alliance this month in recognition of her late husband’s struggle for freedom and peace.